New mandatory imprisonment for selected firearm offences. The Weapons and Other Legislation Amendment Bill 2012, amended the Weapons Act 1990 (the Act), the Corrective Services Act 2006 (CSA) and the Penalties and Sentences Act 1992 (PSA) to impose mandatory minimum periods of imprisonment where the offences of unlawful possession (s 50), unlawful supply (s 50B) and unlawful trafficking (s 65) of weapons are committed in certain circumstances. A category C or E weapon. Nine months imprisonment served wholly in a corrective services facility where an adult unlawfully possesses a category A or B firearm and uses that firearm to commit an indictable offence. Six months imprisonment served wholly in a corrective services facility where an adult unlawfully possesses a category A or B firearm for the purpose of committing or facilitating the commission of an indictable offence. 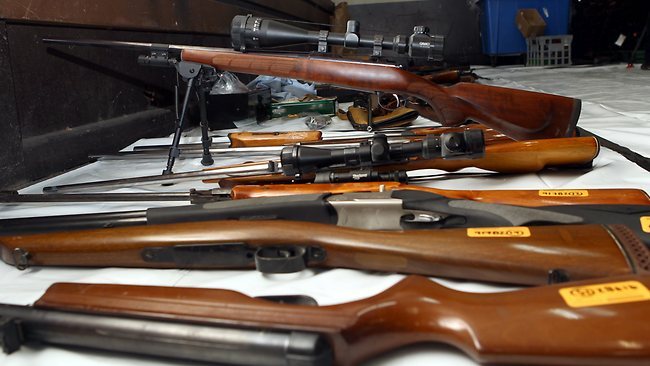 An adult who unlawfully supplies five or more weapons where at least one of the weapons supplied is a short firearm, without a reasonable excuse, is liable to 3 years imprisonment served wholly in a corrective services facility. An adult who is unlawfully supplies less than five weapons, where at least one of the weapons supplied is a short firearm, without a reasonable excuse, is liable to 2 1/2 years imprisonment served wholly in a corrective services facility. An adult who unlawfully traffics in category H or R weapons, without a reasonable excuse and at least one of the weapons is a firearm is liable to 5 years imprisonment, served wholly in a corrective services facility. 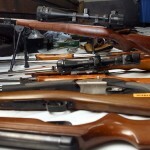 An adult who unlawfully traffics in category A, B, C, D or E weapons, a category M crossbow or explosives without reasonable excuse and at least one of the weapons is a firearm, is liable to 3 1/2 years imprisonment served wholly in a corrective services facility. In our view the fettering of judicial discretion is unfair, unworkable and contrary to our international treaty obligations. Nonetheless the bill has now passed and mainly Tory periods of imprisonment apply or possession of weapons as categorised above.